While uptake of proptech in the property sector was initially slow, increasingly companies are seeing the benefits of technology as a means of streamlining and making their businesses more efficient. Arthur Online has come up with a few ways to help contractors use technology to make the process of accepting and carrying out workorders easier. With better technology comes more reliable apps. Weather apps are particularly useful, so too are apps with basic functions like calculators. Most phones also have torches. All this means you don’t have to carry as much equipment with you. The new and exciting IOS update that has got everyone talking is now available to download on apple devices. Interest has been shown towards the measuring app which uses augmented reality to act as a tape measure/ruler. Using the phone’s camera, the app can measure any object in your immediate area. Perfect for contractors, the app not only takes measurements but can also be used as a spirit level. While the app is not completely accurate in every case, it is a useful tool to have in case you are ever without the right equipment and need a quick estimate. Open the app and hold your phone so the camera is pointing towards the object you want to measure and move the phone around until you see a white circle with a dot in the middle. Making sure the white dot is against the object you wish to measure, press the white button which has the + sign in the middle of it. Often, you won’t need to do this as the app can also automatically recognise objects when you get close to them. After pressing the measure button, slowly move from the top to the bottom of the object you are wanting to measure. To save your measurements, simply tap on the shutter button at the bottom right of the screen and this will take a photo of it. 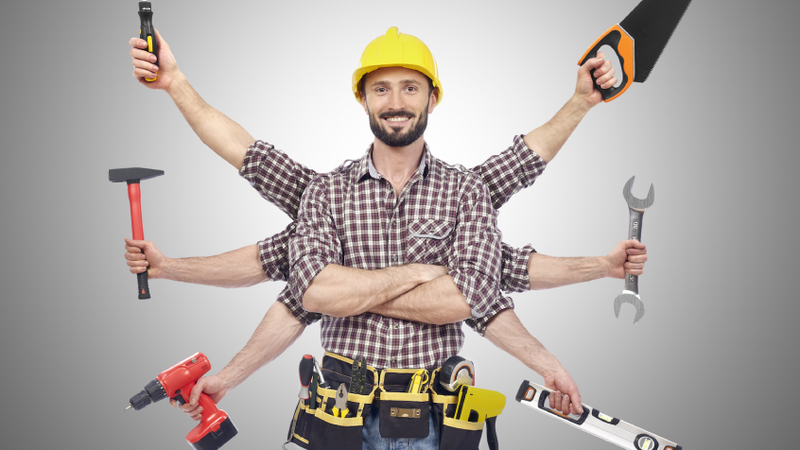 More specifically, there are apps which are designed specifically for contractors and house various functions which can make carrying out maintenance jobs more efficient. Arthur Online is an exceptional tool for task management and facilities maintenance: trusted by thousands of contractors and property managers across the UK. With the release of our contractor app, we are providing contractors with all the functionality needed to complete a job professionally and efficiently while on site. The available functions give contractors the ability to generate quotes and issue invoices, access and upload documents and communicate with tenants and property managers. The improved flow of information ensures efficiency and transparency, shortening the time required to complete a job. If you are not already on social media, you should consider promoting your business on platforms like Facebook, Twitter, LinkedIn, Instagram etc. Increasingly, social media is being used to advertise various services and provides an excellent opportunity to promote a personal brand, particularly if you are self-employed. You can also use these sites to connect with potential clients and contacts in your industry. If you are a contractor looking for a software which tracks workorders, generates quotes and issues invoices, look no further. Sign-up at www.arthuronline.co.uk for your 30 days free trial today to get started.